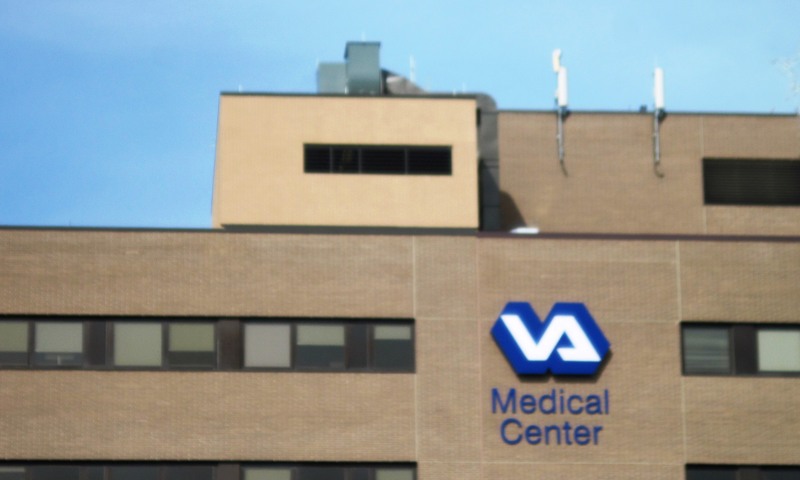 The mechanical systems for the six-story hospital on the VAMC campus were upgraded. 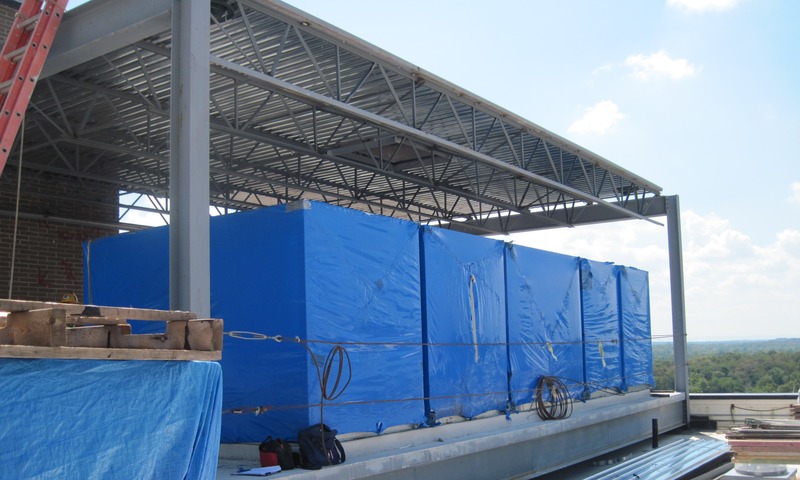 The project required floor load analyses for new mechanical units and complete analysis, design, and detailing of a new mechanical penthouse on the hospital roof. The design required the extension of four existing columns above the roof level to support the elevated mechanical platform. 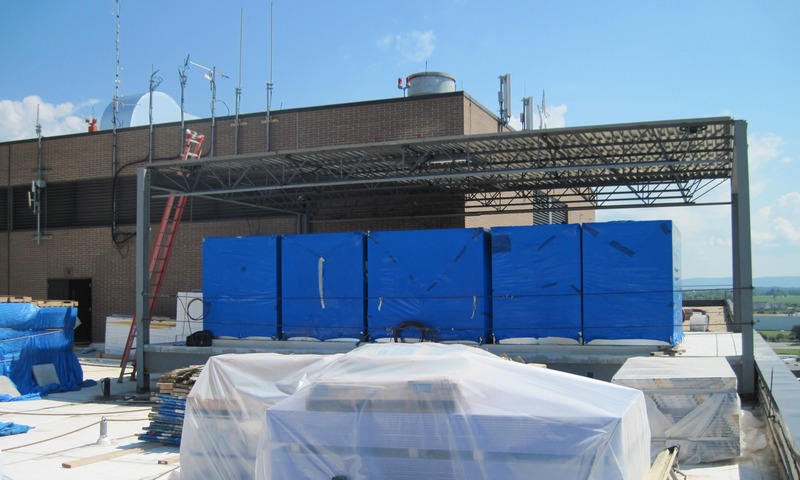 Continuous operational status of the top floor of the hospital throughout construction required design details to accommodate access to the existing structure solely from the roof. Further project challenges included limited access to three of the four columns: one column was part of an existing penthouse frame and two columns were obstructed by the parapet, which could not be disturbed. Construction Administration services involved close coordination with the contractor to enable quick resolutions to unanticipated field conditions, including re-detailing of welding and plates required for attachment to off-set existing columns.